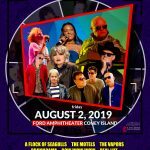 bio - Lost 80s Live! She’s A Beauty and Talk to Ya Later: THE TUBES On Selected Dates. the Line Up will Change from time to time, the Following May be added Depending on Artists Availability. 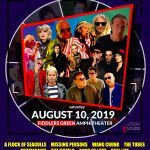 THE MOTELS, ANIMOTION, DRAMARAMA, BOW WOW WOW, THE FLIRTS, and Many More. 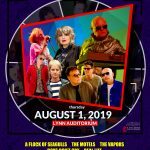 This is a unique opportunity to see all these great groups from the amazing 80’s performing live on one stage, their Biggest New Wave and Pop radio hits of all time. 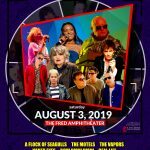 The Lost 80’s Live tour has been described by thousands of concert goers as a greatest hits show of the 80’s and a rare opportunity to experience so many great bands in one concert, one night, on one stage. 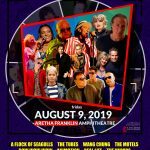 This package is geared towards the Generation X or Reagan era 28 – 65 + of age, Fans young and old can now see more then one of their favorite artists from the 80’s Live on one stage and relive that great feeling one more time. available for Theaters , Casinos, Fairs, Festivals, Radio Shows, Corporate and Private Events. Artist(s) may change beyond our control, always contact venue before buying your tickets to confirm line up in your area. Lost 80’s Live is Now Accepting Offers for 2019-20. Large Club Venues, Casinos, Festivals, Fairs, Private Events, Radio Shows, Corporate Events and Fly Dates.